Shawn Frick, founder of Prairie Path Pet Care, is a life-long animal lover with a passion for pets of all kinds. From Peanut, his hamster, to Aspen the Husky/Samoyed mix and on to his two tabby cats, Emma and Elise. Shawn has always aspired to have animal companionship. The combination of Shawn’s passion for dogs and a love of having a companion while running, were the beginnings of an innovative approach to a dog walking/services company. In 2012 Shawn created Prairie Path Pet Care which he has nurtured to its current status as a leading pet care provider in Illinois and Tennessee. “I haven’t re-invented the wheel by starting a dog walking company, but I am out to create the best dog walking company available. One that is driven by the appreciation of shared time between pets/humans,” says Shawn Frick Founder of Prairie Path. Shawn’s promise is to provide a service that genuinely cares for dogs and most importantly, one owners can trust based upon communication, professionalism and organization. 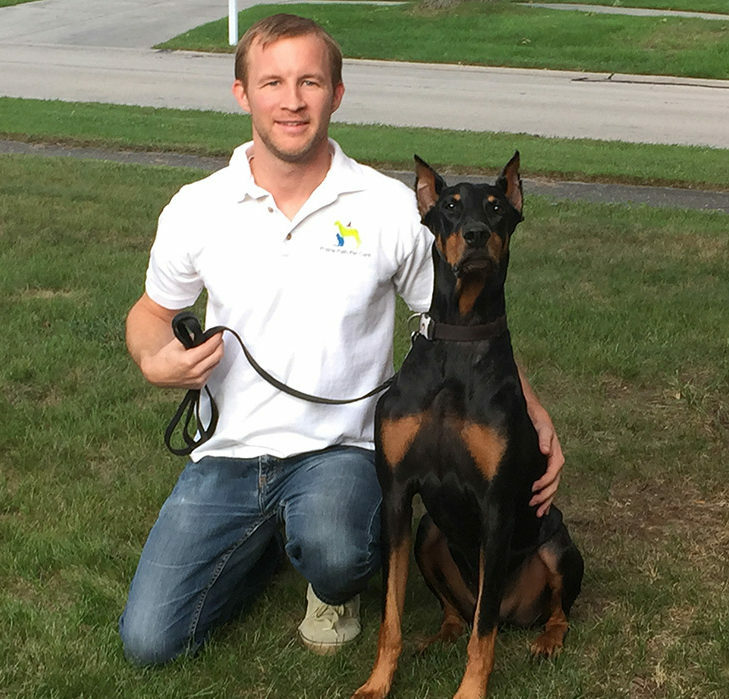 Shawn currently lives in Wheaton with his four legged rescued companion, a spirited and affectionate doberman, Decker. Decker found his way to Shawn through Cause for Paws. After missing his mark with two other families, Shawn and Decker both agree this one is a bull’s eye. When Shawn isn’t running his business and volunteering his time, you will find him hitting the pavement with Decker as an experienced runner, having completed a number of half and full marathons.